Shell the fava beans from the large long pods in which they are encased. This will reveal the beans in their thin skin from which they must also be removed. Do this by bringing a pot of water to a boil, add the beans to the pot and blanch-cook for 2 to 3 minutes before straining the favas and shocking in an ice bath of cold water. The thin skin can now be peeled entirely off by hand to reveal the sweet fava bean. It is now ready to be added to any dish and only requires a few moments of additional cooking time. 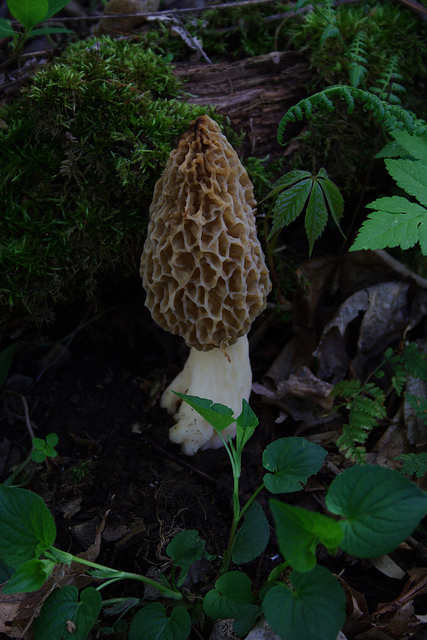 Clean the morels carefully and trim off the bottom of the stem. Remove all dirt and debris by soaking them in several changes of clean cold water. 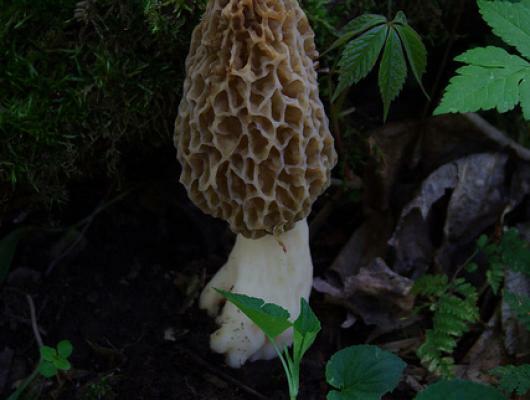 Next, lay the morels out on paper towels to absorb the excess moisture and air dry. Keep refrigerated until ready to use. In a saute pan, heat 3 tablespoons of the olive oil over medium heat. Add the morels and saute 3 to 4 minutes. Add the shallots and cook for 3 additional minutes. Add the fish stock and braise the morels for 2 to 3 minutes.